Sites like Ebay help fuel the collectible market. One can find just about anything on those sites, and sometimes for dirt cheap. 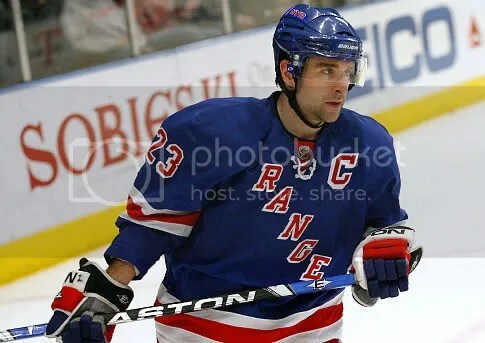 Surely every hockey fan has a random collectible that they scored for a bargain, whether it’s a jersey, action figure, or autograph. The Whalers logo is one of the most sought after, thanks to their demise in 1997. Likewise for Quebec and (the old) Winnipeg Jets. Those three teams’ relocation in the mid-’90s, along with kids of that era being the most proficient with the internet, years later created a certain yearning. If the internet was around in the ’80s, hockey fans would definitely be buying Atlanta Flames, Colorado Rockies, and California Golden Seals merchandise. Anyone willing to pay for these monstrosities? What Will Winnipeg’s Name Be? Now that the Winnipeg NHL team has reached their goal of 13,000 season tickets sold, True North Sports and Entertainment is expected to announce the team name between now and the draft. 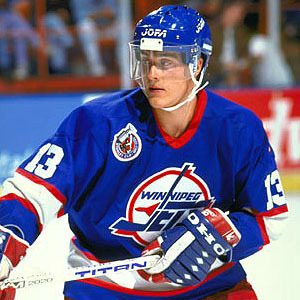 Jets– The name of the original WHA/NHL franchise in Winnipeg until they left for Phoenix in 1996. The Jets seem like the most popular choice among fans. Gary Bettman also told TNSE that the league would allow them to use the name and logo if the group decides to. 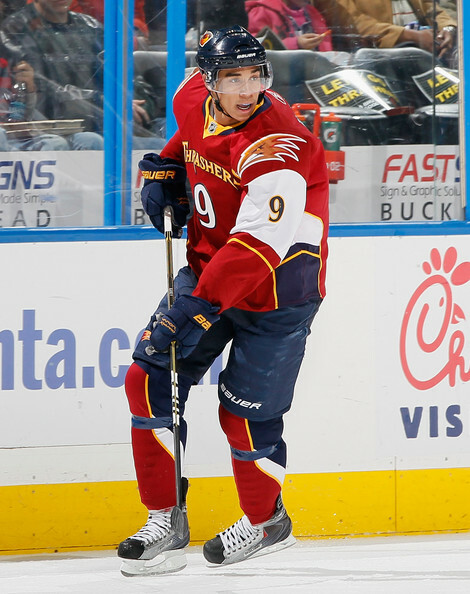 Thrashers– When Calgary left Atlanta in 1980, they took the name (Flames) with them. Winnipeg could too, but I don’t know if there are any Thrashers in Winnipeg. Highly unlikely the name travels with the team. Moose– The Manitoba Moose, formerly of the AHL, have been in Winnipeg since the Jets left. The Moose have been popular, and it’s quite possible the NHL team could just take the name and continue the Moose tradition. Falcons– The Winnipeg Falcons were an senior amateur team, who won the Allan Cup in 1920 and went on to represent Canada in the 1920 Olympics in Belgium, winning Gold. Could be a nice homage to the past, like Ottawa did for the original Senators in 1992. Chufugaboos– Thanks to a 3rd grader in Winnipeg named Joey, this name has circulated around the internet. The Chufugaboos, with a logo of a monkey, might be a million-to-one shot, but it is still an awesome name regardless. 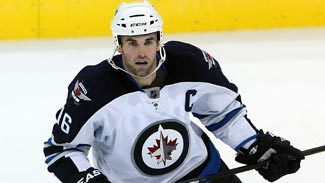 Phoenix– Rising from the ashes of the Jets to live again, and gives a connection to the former Winnipeg team. Not sure about this one, as it might cause confusion (the Phoenix @ Phoenix). Flashes (or Flash)– The city’s first team was named after Hall of Famer Bobby Hull (the Golden Jet), why can’t the new team be named after one of the best players in the past twenty years (and former Jet), Teemu Selanne. Who knows, maybe Teemu decides one last year where his career began? Slurpees– Winnipeg is the Slurpee Capital of the World. No kidding. Plus, it’d give easy corporate sponsorship with 7-11. Which name do I like? I liked the Jets name growing up, but feel the new team should establish it’s own identity. But I wouldn’t be mad if the Jets returned.